… born on April 23, 1928, she was 85-years-old when she passed away. 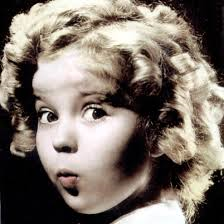 Shirley Temple was born on April 23, 1928, in Santa Monica, California. Temple's mother encouraged her infant daughter's singing, dancing, and acting talents, and in September 1931 enrolled her in Meglin's Dance School in Los Angeles. About this time, Temple's mother began styling her daughter's hair in ringlets similar to those of silent film star Mary Pickford. In January 1932, Temple was signed by Educational Pictures following a talent search at the dance school. She appeared in a series of one-reelers called Baby Burlesks, and a series of two-reelers called Frolics of Youth playing Mary Lou Rogers, a youngster in a contemporary suburban family. To underwrite production costs at Educational, Temple and her child co-stars modeled for breakfast cereals and other products. 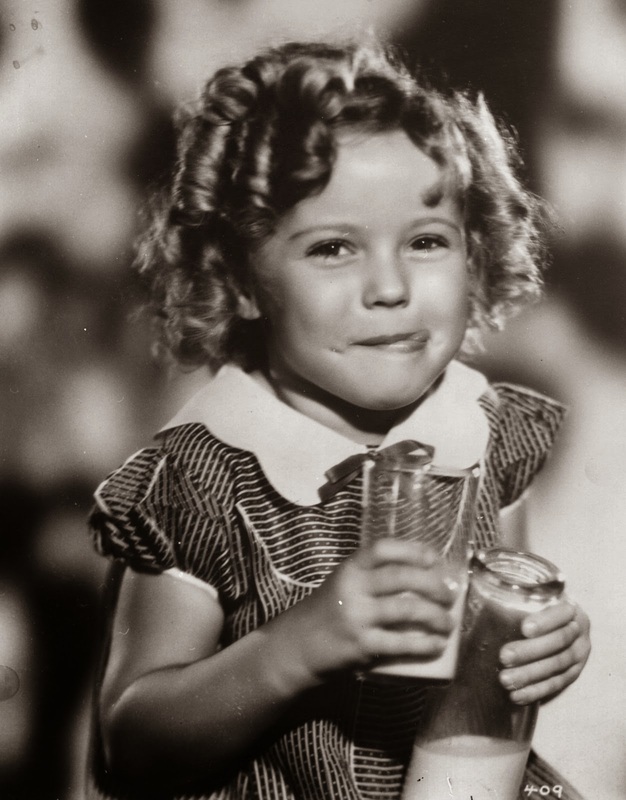 She was loaned to Tower Productions for a small role in her first feature film (Red-Haired Alibi) in 1932 and, in 1933, to Universal, Paramount, and Warner Bros. for various bit parts when she was three-years-old. In 1934, at the age of four, she found international fame in Bright Eyes, a feature film designed specifically for her talents. 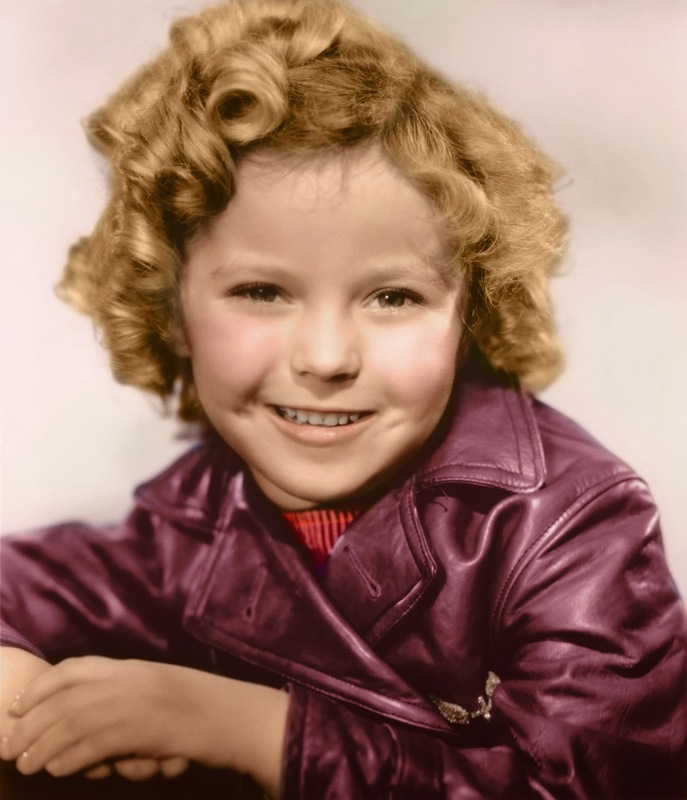 She received a special Juvenile Academy Award in February 1935 for her outstanding contribution as a juvenile performer to motion pictures during 1934, and film hits such as Curly Top and Heidi followed year after year during the mid-to-late 1930s. The Shirley Temple Cocktail is a non-alcoholic mixed drink made with Lemon-Lime soda, grenadine syrup, and garnished with a maraschino cherry. Shirley Temples are often served to children dining with adults in lieu of real cocktails. Licensed merchandise that capitalized on her wholesome image included dolls, dishes, and clothing. Her box office popularity waned as she reached adolescence, and she left the film industry in her teens. She appeared in a few films of varying quality in her mid-to-late teens, and retired completely from films in 1950 at the age of 22. Shirley was the top box-office draw four years in a row (1935–38) in a Motion Picture Herald poll. Temple returned to show business in 1958 with a two-season television anthology series of fairy tale adaptations. She made guest appearances on television shows in the early 1960s and filmed a sitcom pilot that was never released. Shirley sat on the boards of corporations and organizations including The Walt Disney Company, Del Monte Foods, and the National Wildlife Federation. 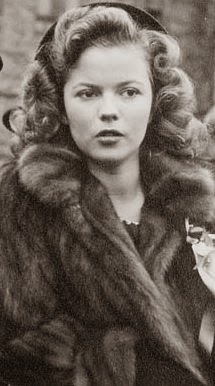 Shirley Temple Black served as U.S. ambassador to Ghana and Czechoslovakia. 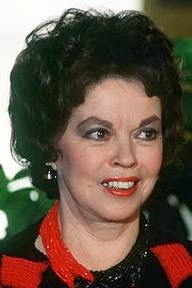 She also served as Chief of Protocol of the United States, 1976–1977. In 1988, she published her autobiography, Child Star. Temple was the recipient of awards and honors including Kennedy Center Honors and a Screen Actors Guild Life Achievement Award. Shirley ranks 18th on the American Film Institute's list of the greatest female American screen legends of all time. She died of natural causes on February 10, 2014, at the age of 85 at her home in Woodside, California.